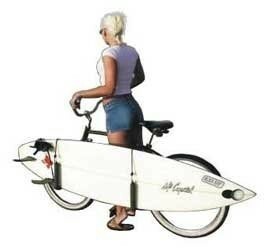 The Side Ride Surfboard Rack fits almost any bicycle, and works especially well with most beach cruisers. 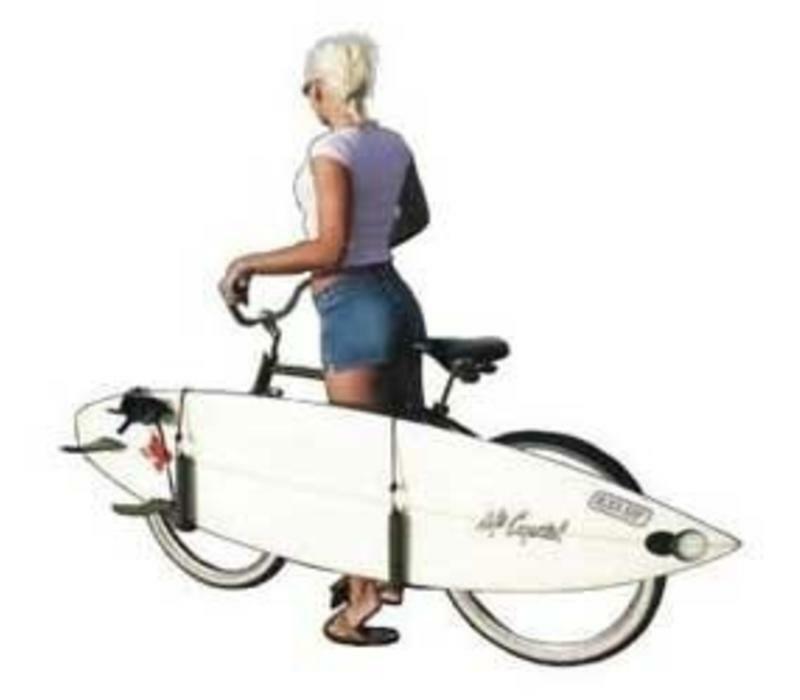 Perfect for checking the surf, it mounts easily and carries one board in a side-saddle fashion. Save gas and ride in style to the beach!